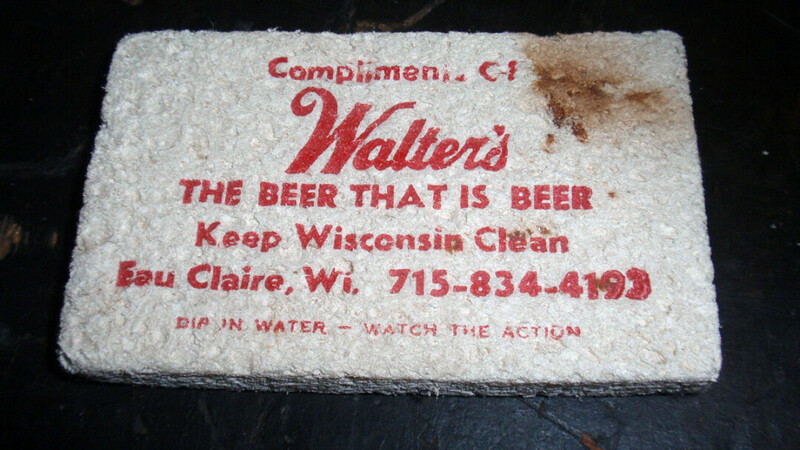 Advertisers have been known to make exaggerated claims about their products, but back in the day Walter’s Brewing Co. of Eau Claire went with a 100 percent factual approach to promote its signature brew. “The Beer That is Beer” indeed was beer, and local drinkers loved it. When Northwoods Brewing revived the classic label a few years ago, they brought back the motto, too. 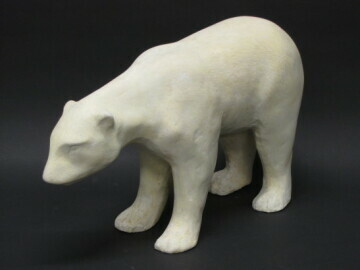 The Chippewa Valley Museum restored this plaster bear donated by the the Uniroyal-Goodrich Tire Company in 1992. This slogan is another golden oldie from a classic Chippewa Valley business, namely the Gillette Safety Tire Co. – eventually known as Uniroyal-Goodrich. Nearly a century ago, founder Raymond B. Gillette reportedly used this phrase to describe the toughness of his tires. The motto, accompanied by a fierce-looking polar bear, was used for decades. All together now: “… Salad Shoo-terrrrrrrrrrr!” Technically, this is a jingle, not a slogan, but anyone who was near a TV during the Salad Shooter’s 1980s and ’90s heyday probably remembers it. The Salad Shooter was a big hit for Eau Claire’s own National Presto Industries. Speaking of unforgettable jingles, Menards’ long-running claim that you can “Save Big Money!” has made the Eau Claire-based home improvement chain famous to millions across the Midwest. The immortal jingle was penned in 1972 by Bob Holtan, who was station manager at WAXX/WAYY radio in Eau Claire. Feeling down? Well it could be worse. At least we're not leaving through one of these historical local disasters.